I am very glad that I met Carolin and Daniel, because out of our photosession, there were a lot of my favourite photos I did with models. 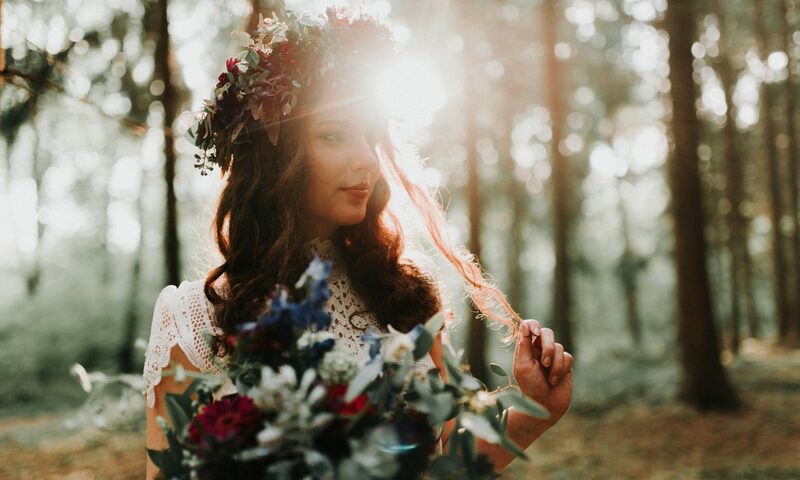 It was designed as a kind of boho-wedding-style Shoot and they both delivered wonderfully. Courtesy to Floristik Blütenzauber (their Facebook page), who provided the flowers. First we were at the Dünnwald, which I just like with its‘ special trees and we did not have much sun, but the time we had a glimpse, we used it so well, even I was surprised how well it looked! Then we drove to the Wahner Heide, which I always wanted to visit, because a lot of photographers go there for some photography session. And low and behold, there even were two other couples with their photographer. It was Kind of crowded! But we searched for places which suited us and the great landscape did its‘ work well.